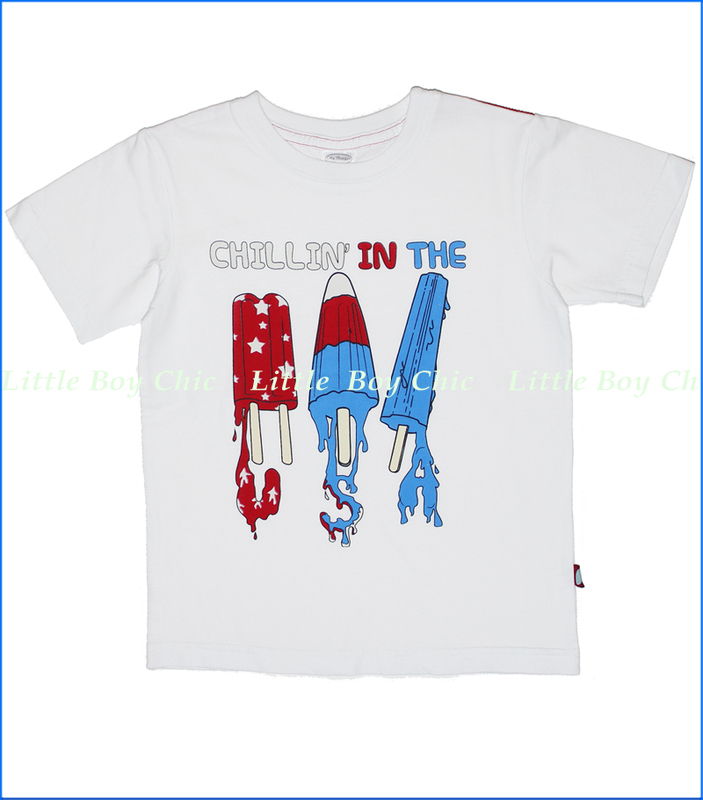 These popsicles with stars and stripes are super cool. Contrast shoulder stitching. Woven label on side seam.